The T-series offers enahnced capabilities with its powerful ARM9 processor, comprehensive industrial protocols support, remarkable durability and above the standard functionalities. All models come standard with colour touchscreen. Sizes range from 4.3” to 15.0” with optional pushbuttons at the front of the screen. Optional aluminiun bezels are available from some models to offer greater durability against harsh envoronment. In addition, all the units from the T-Series has an IP66 rated front panel when installed and an operating temperature range of -10 to 60°C. 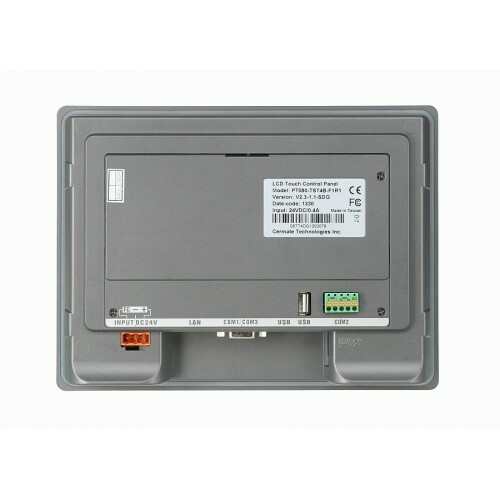 Built-in RS232/422/485 ports, Ethernet, with over 300 communication drivers allows the T-series to communicate easily with almost every PLC out there and many types of equipments, such as motion/thermal controllers, inverters or sensors to name a few. Email functions are available to allow notifications of alarms and sending periodic reports. All models are equipped with an ARM9 based CPU, 128M flash storage and 128KB battery backup memory. A USB port and a microSD card slot are standard on all models to allow extra storage for data logging, alarm histrories and backups. 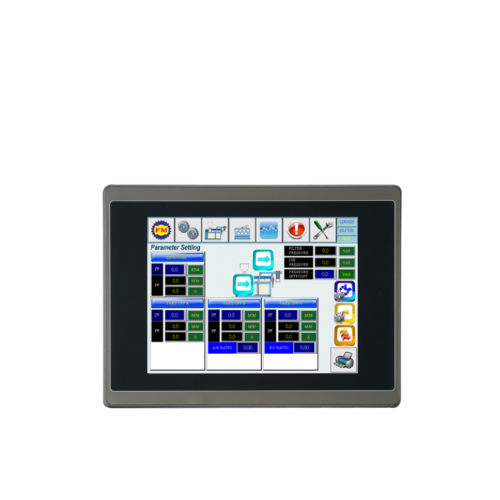 The T-Series allows users to view and control the screens remotely with its built-in VNC server. Files transfers are also made easy with its FTP functions. 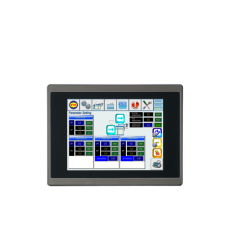 Cermate offers an easy to use yet power programming platform called PM Designer. Even better, PM Designer is totally free to download.